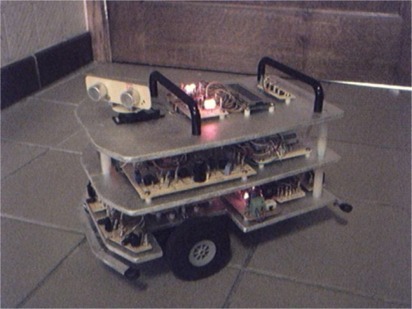 a test platform to experience with an autonomic robot. it has to get out without hitting a chair leg or a table leg. It took one month to build and cost about 250 $. L298 Hbridge for controlling the motors. 7.2V NiCd battery pack for power. - Adding some RF communication between the robot and my pc.